Look at the best sellers on the big font shops and you’ll see the same names sitting proudly in top spot. Proxima Nova, DIN, Futura and Brandon Grotesque in particular are extremely sought after typefaces that are commonly used in web design, branding and print. It can be pretty expensive to acquire these fonts, which means it’s often beyond the budget of most designers. 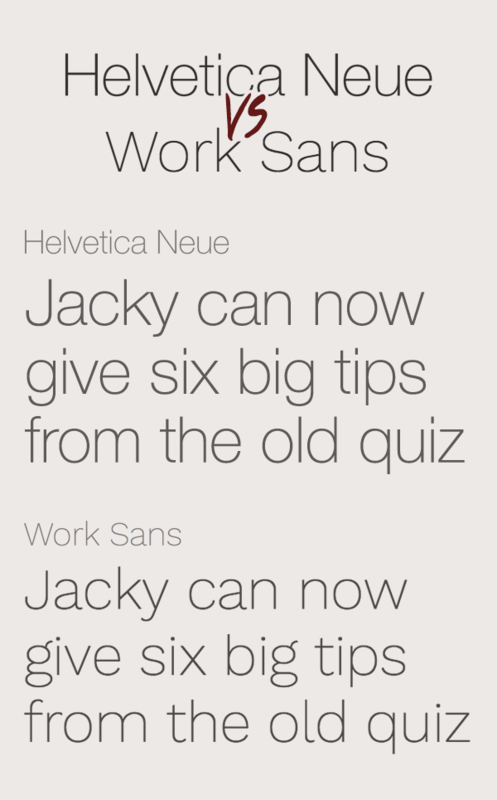 Thankfully there’s some free typefaces we can rely on that actually match up fairly well. In today’s post I round up 10 of the most popular fonts and give my recommendations of the closest alternatives that can be used with Google Fonts or downloaded for free. Since its release just 10 years ago Proxima Nova has pushed aside all the classics and claimed top spot in the best sellers lists. 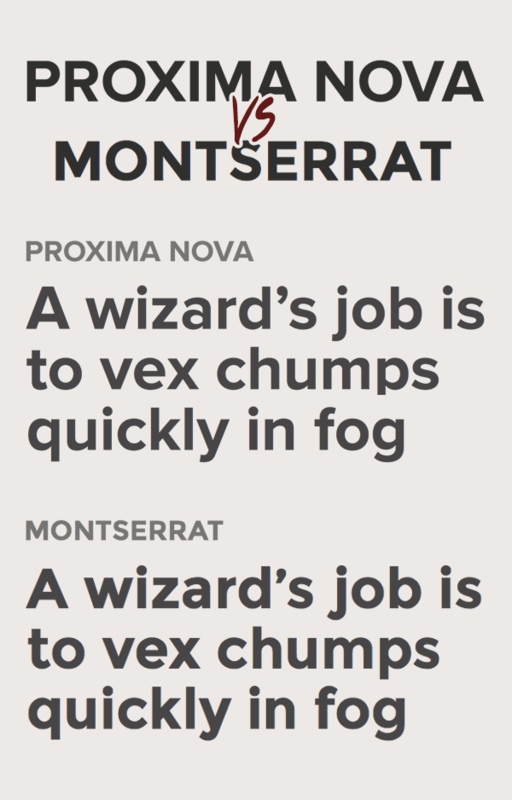 For those of use who aren’t lucky enough to have Proxima Nova (or the similarly cool Gotham font), Monterserrat is a beatiful pseudo geometric typeface with very similar characteristics. 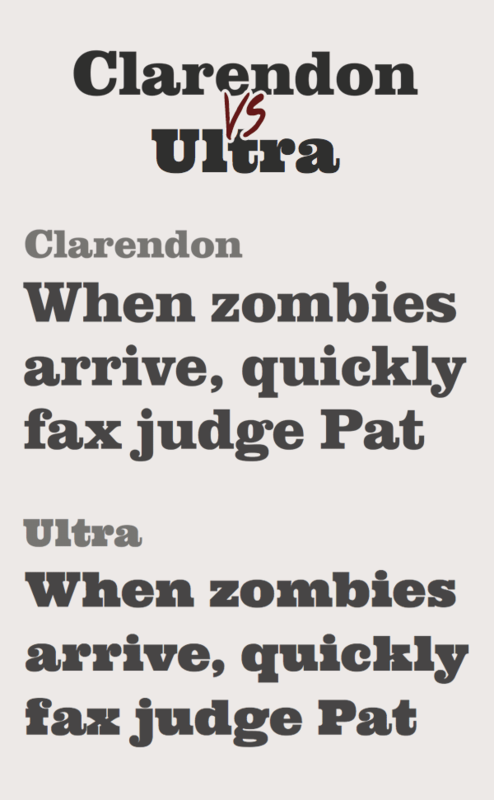 These fonts look great in uppercase with wide tracking. Futura is everyone’s favourite geometric typeface with those iconic sharp corners. 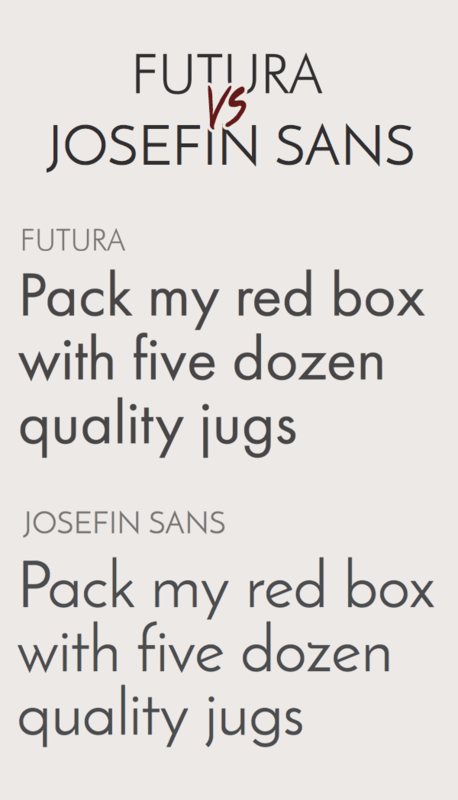 If you’re in need of a free alternative, look no further than Josefin Sans. Also being a pure geometric font means the letters that are made from basic shapes are almost identical, but Josefin does have some unusual characters that break the match. Thankfully most of those characters are lowercase and this style of typeface always looks much nicer in all caps! 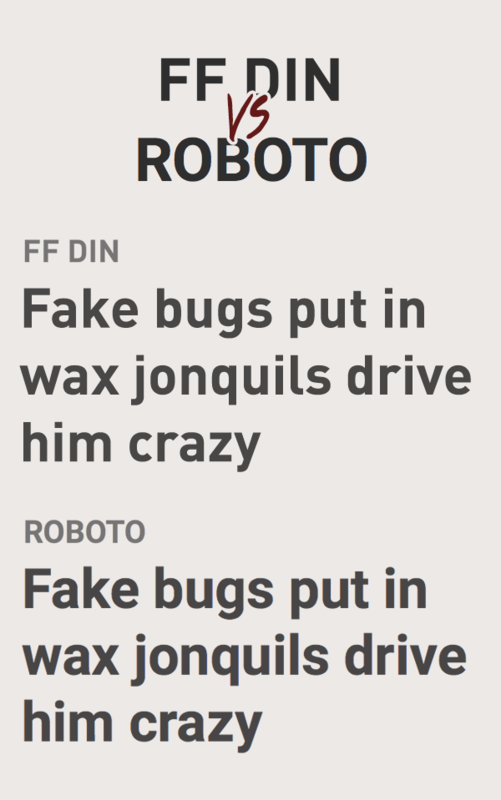 Roboto is the best contender to the ever so popular FF DIN. Not only does Roboto match up characters like the uppercase ‘R’, lowercase ‘j’ and straight tail on the letter ‘y’, it also comes in a range of styles which means you can use this font as an alternative to all the variants of FF DIN from light to black. FF Tisa is a popular font with some lovely curved slab serifs which I thought would make it impossible to match with a free font, until I stumbled across Bitter. It ticks all the boxes with it having the same slab-serif style, the double-story ‘g’ and it even mimicks the letter ‘k’ almost exactly. It can be difficult to match the double or single story letters ‘a’ and ‘g’ in a font. Some typefaces use one of each, and even if you find a font with the same style, there’s no guarantee that the bowl of the letter ‘a’ or the ear on the ‘g’ will be the same. 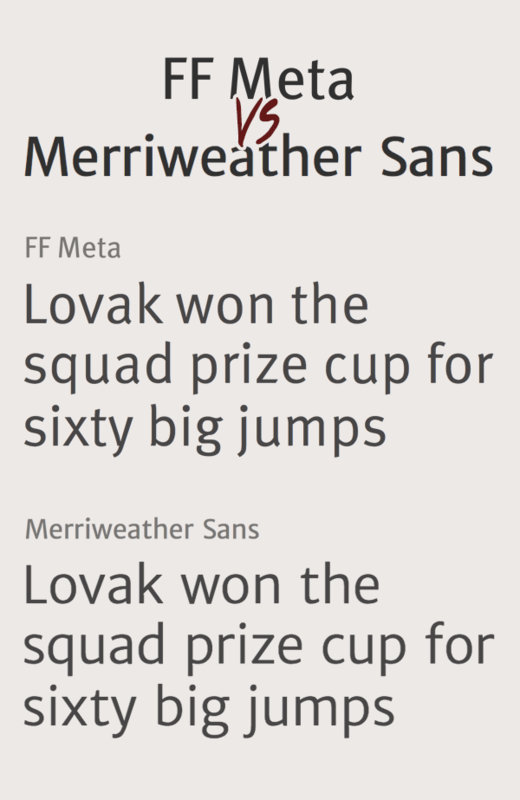 However, Merriweather Sans perfectly matches the humanist style of FF Meta with the subtle contrast in its strokes, as well as similarly shaped bowls. The classic Baskerville is one of the most popular serif typefaces with many spin offs. One free font that is based on Baskerville, as its name suggests, is Libre Baskerville. 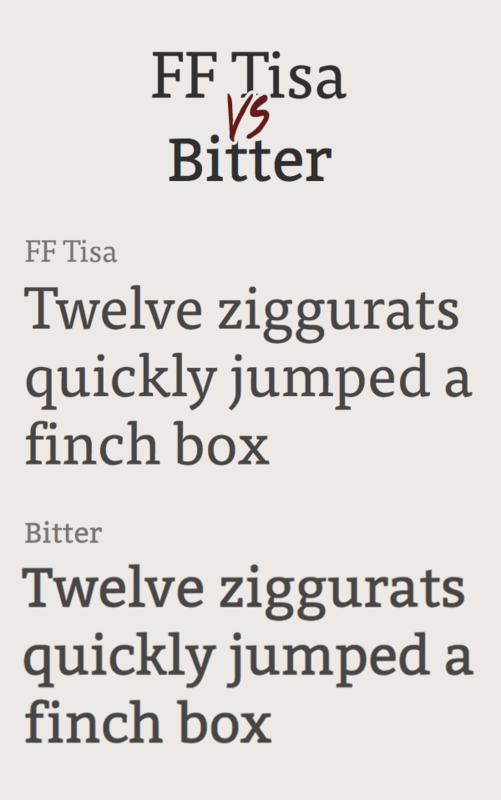 The normal weight is much thicker than the official Baskerville font, due to the reduction in contrast of Libre Baskerville to make it easier to read on screen. 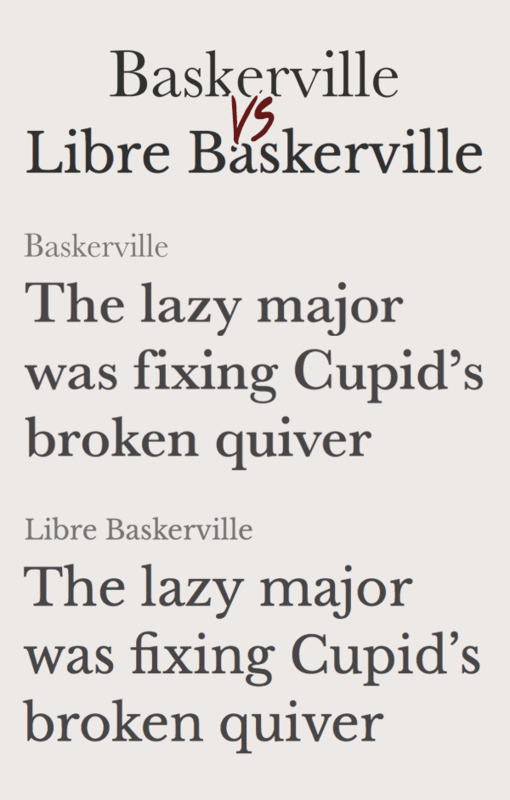 The normal weight does make a good match for the bold variants of the original Baskerville though. Clarendon comes in a variety of weights, but it’s commonly seen in its Black form to give it a solid presence. The free font Ultra is slightly more overweight as standard, but it makes a good alternative if you need to capture that stylised slab-serif look. While Clarendon is often seen in Black, Helvetica Neue is almost always seen in its Light or Ultra Light weights. As one of the most iconic fonts of all time imposters can easily be spotted, but Work Sans is a good free alternative that has a similar skinny appearance. 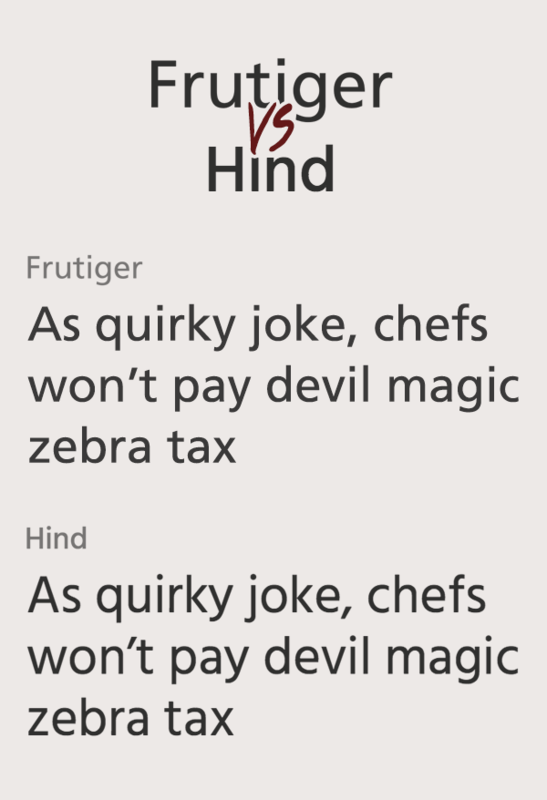 There are some major character mismatches, but they actually allow Work Sans to be itself rather than a poser. 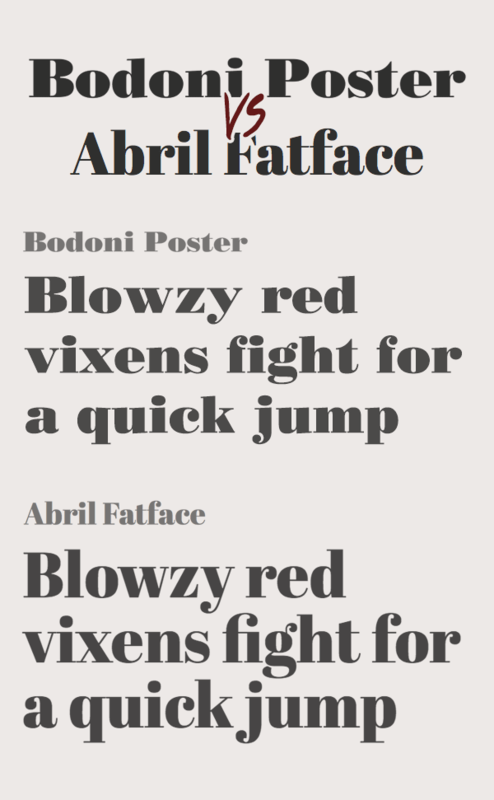 I picked Bodoni Poster for this comparison, but Abril Fatface can be a good free alternative for most modern style didone typefaces, the likes of which are often seen in the mastheads of fashion magazines. I actually prefer Abril Fatface over Bodoni Poster in this example, especially those curvy terminals and that cool ligature of the letters ‘f’ and ‘i’. Frutiger is a reserved sans-serif with neat letterforms that works as both large scale signage and body copy. The free font Hind is the perfect alternative that matches each character perfectly with the exception of a slightly taller x-height. Unless these two fonts were placed side by side it would be difficult to tell them apart. The final comparison I have to present isn’t a great match, but free alternatives of the popular Brandon Grotesque font are highly sought after so I thought I’d try and find a worthy option. The rounded corners of Brandon Grotesque are what makes it so unique, but the free font Lato also features some subtle rounding. 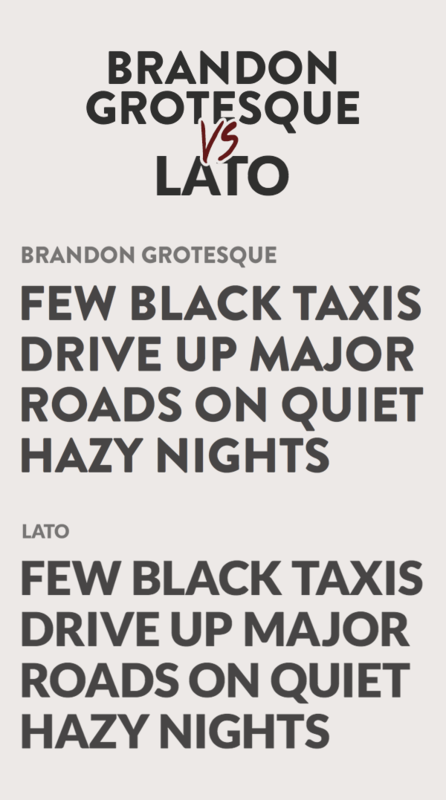 In its lowercase form these fonts look nothing alike, but with some modification in Adobe Illustrator to round off the rest of the corners, Lato could prove to be a worthy replacement to the all caps style of Brandon Grotesque.